I am a Solution Focused Clinical Hypnotherapist working in Cheshire and based in Stockport. I have twenty years of supporting children, young people and families with a wide range of issues which has given me significant experience of how to effectively work with people who are needing support to make positive changes in their life. Solution Focused Hypnotherapy differs from other forms of hypnotherapy because the focus is on the positive outcomes you want to achieve and not the issues that hinder that achievement. Progress is made at each session through setting positive, manageable, incremental goals that lead you to your success. The techniques I use are backed by the latest neuroscience alongside hypnosis to give you lasting results as quickly as possible. I offer a 60-minute half price initial consultation which allows you to decide whether I am the right therapist for you and what you want to achieve. At the initial consultation I will take some brief details before explaining how the brain works and why you feel the way you do in simple terms. You will be free to ask any questions you may have and you will be given a hypnotherapy recording of mine to listen to in-between sessions to reinforce the work being done in the sessions and assist you in relaxing and improving your sleep. 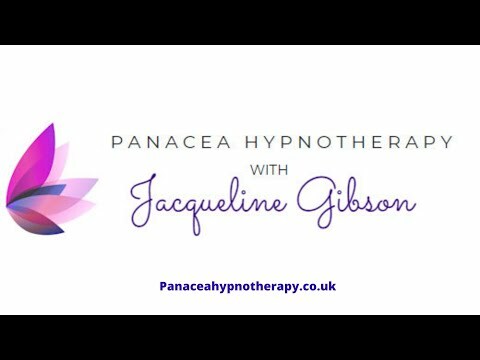 I use Solution Focused Hypnotherapy to help people manage a range of conditions such as anxiety and depression, exam and interview nerves, phobias, weight management, addictions, stopping smoking and many other conditions. If you are committed to making positive changes in your life then Solution Focused Hypnotherapy could work wonders for you. I am a member of the Association for Solution Focused Hypnotherapy (AfSFH) and the Complementary and Natural Healthcare Council (CNHC). I have an enhanced DBS in place for your additional peace of mind. I am a qualified coach and mentor plus neuro linguistic programming practitioner enhancing the overall hypnotherapy experience I am able to offer. The Hypnotherapy Practitioners Diploma (HPD) from the NCH (National Council for Hypnotherapy) and NCFE (level 4). A Diploma in Solution Focused Hypnotherapy and psychotherapy (DSFH) from CPHT Leeds. Member of the Association for Solution Focused Hypnotherapy. Able to combine extensive experience and understanding with professionalism to offer you a confidential, supportive and effective route to making long lasting change. If your particular concern is not listed please ask if I can help you with it. 60 minute initial consultation for £30 which includes a free relaxation CD/Download. Each 60 minute Hypnotherapy sessions are priced at £60 per session. The one off Stop smoking intensive session includes preparation, psychotherapy and hypnotherapy lasting between 100 -120 minutes and costs £150. Free consultation and £10 per session discount for NHS and emergency services staff on production of valid ID, please state when booking. I offer appointments evenings and weekends to assist your availability to attend. Any sessions cancelled without 24 hours notice will incur a 50% charge. I am very experienced in working with children and young people and currently work with children from the age of ten upwards. Parent or guardian MUST attend for the initial consultation. Please note due to steep access at the property this venue is currently unsuitable for people with mobility issues. Home visits may be available under these circumstances so please ask for details. Steep access to front so unsuitable for those with mobility issues. Home visit may be possible please ask. I work flexibly between 8am untl 8pm Monday to Saturday.